With limited numbers of producers supplying large-volume parenterals (LVPs) to the US market, shortages can result when natural disasters or manufacturing problems interrupt production operations. Grifols has implemented its vertical integration philosophy to ensure the consistent supply of high-quality sodium chloride 0.9% solution to its blood/plasma donor centers. The product will also be available to hospitals and compounding centers. Drugs administered as parenteral solutions are prepared as either small-volume or large-volume products. Large-volume parenterals (LVPs) include intravenous solutions sold in bags or bottles containing 100 mL or greater (250 mL, 500 mL, 1 L). They are packaged in these large volumes because larger quantities are typically required. Common LVPs include solutions needed to correct electrolyte and fluid imbalances, provide important nutrients or act as a vehicle for the delivery of other drugs. The most common examples include sodium chloride solution, dextrose solution, Ringer's solution, and lactated Ringer's solution, as well as combinations of dextrose and sodium chloride. The market for LVPs is expanding due to an increase in the numbers of surgeries performed and the growing numbers of patients with chronic and other lifestyle-related diseases requiring hospitalizations.1 LVPs provide a faster method for administering drugs to patients during surgery and when in the hospital. A growing preference by patients for single-dose administration of vaccines and drugs to treat chronic diseases is also driving demand for LVPs. is also offering this important LVP to hospitals, pharmacies and compounding centers in the US. Minibags (50 mL, 100 mL and 250 mL) will be available soon. products. Advanced quality programs combined with state-of-the-art automated aseptic processing systems are essential. Grifols has been manufacturing parenteral products, including LVPs such as sodium chloride 0.9% solutions, for more than 50 years. To ensure the highest quality, the company has adopted a vertical integration model for control of the entire manufacturing process and implemented automation technologies (robotics) and advanced process controls (e.g., artificial vision) to reduce human interactions with injectable products and thus further minimize the potential for contamination. Grifols' pharmaceutical production plants, processes and machinery are designed by Grifols Engineering, which — because it is a Grifols company — is knowledgeable about the quality and compliance requirements for parenteral manufacturing. The bag molding process, often a source of particle generation, has been integrated into Grifols' filling operations through the adoption of Form-Fill-Seal technology. This approach allows Grifols to ensure complete control of this critical process. LVPs for the US market. Grifols is one of the top three players in the plasma-derived proteins market. The company operates blood/plasma donor centers across the US. Each blood donor receives 500 mL of sodium chloride 0.9% solution, which currently is provided by another supplier. The shortage for several years of this important LVP has presented Grifols with an untenable situation. The company’s blood donor centers, which are part of its core business, are at risk of being without this essential product. Vertical integration through the internal production and supply of LVP saline solutions eliminates this risk. Grifols has successfully manufactured sodium chloride solutions for the European market at its Spanish manufacturing facilities for more than fifty years. Both its plasma-derived proteins and parenteral manufacturing businesses, and in fact all activities from non-biological injectable products to reagents and instrumentation for clinical diagnosis, are operated within a quality culture founded on a commitment to continuous improvement and ongoing achievement of the highest quality levels. As a result, the company has never experienced any quality problems with its blood derivative products due to virus contamination or any recalls of its parenteral products due to particulate contamination. An FDA audit in June 2015 generated zero 483 observations. In addition, Grifols was one of the first companies in Europe to obtain approval for the parametric release — which requires historical demonstration of excellent sterility test results and highly consistent quality system performance — of parenteral solutions in glass and flexible containers from its EMA- and FDA-certified production plants in Barcelona and Murcia, Spain. To implement its vertical integration philosophy for large-volume solutions used at its blood donor centers in the US, Grifols required FDA approval. An application for a 500-mL product was submitted to the Center for Biologics Evaluation and Research (CBER) within the FDA, with which Grifols has a long-standing relationship. FDA approval was received in May 2017. Production of sodium chloride 0.9% solution for the US market in 500-mL bags was initiated at the Grifols manufacturing plant in Murcia, Spain in late 2017, and export of the product began in early 2018. A fourth, completely automated Form-Fill-Seal line will be operative in the coming months to guarantee that it has sufficient production capacity to supply to blood donor centers, hospitals and compounding centers. With these automated lines, the operator uploads the polypropylene rolls and the bags are formed, filled and sealed and then sent for overwrapping; interactions between the operator and the process are avoided, minimizing any risk of contamination and human error. Inspection of injectable products for particulates is also automated using artificial vision systems developed in collaboration with Diagnostic Grifols. Production of high-quality, sterile parenteral products involves complex processes. There are few manufacturers willing to take on the challenges associated with parenteral manufacturing for inexpensive, basic generic parenteral solutions to be marketed in the US. Natural disasters, quality issues and other manufacturing problems have resulted in shortages of saline, dextrose and other widely used solutions that are offered as LVPs. With its long history of LVP production for the European market, Grifols has demonstrated its ability to implement cost-effective processes for the consistent production of high-quality LVP solutions. The company has determined that internal supply of LVPs is essential for reducing the risk to its US blood/plasma donor centers posed by ongoing shortages of important LVPs. If the US market responds in the way Grifols expects, the company plans to submit additional applications to FDA for 5% dextrose IV solutions in volumes of 100 mL, 250 mL and 500 mL. Large Volume Parenteral (LVP) Market — Global Industry Analysis, Trends and Forecast 2016-2024. Transparency Market Research. “Current Drug Shortages.” Drugs.com. Web. "National Drug Shortages: Update." Council on Science and Public Health. Feb. 2015. Web. “Large Volume IV Solution Shortages.” Infusion Nurse Blog. 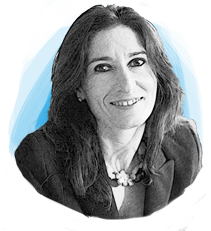 Marga Viñes holds a degree in pharmacy and an MBA in pharmaceutical management from the University of Barcelona. She has more than 16 years’ sales and marketing experience in the pharmaceutical industry and healthcare business, defining and implementing marketing strategies for international and domestic markets. In addition, she has more than 10 years of experience in the field of strategic marketing and business development in the contract manufacturing business on an international level.